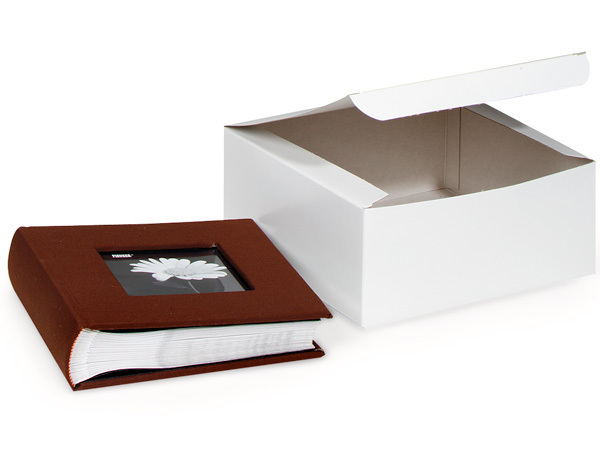 5 pack 8 x 8 x 3.5" 100% Recycled White Gift Boxes. 1 Piece Folding design. Green Way ® Eco-Friendly Packaging.